The apex bank has been intervening aggressively in the foreign exchange market since February. The CBN plans to narrow the spread between the official and black market rates. The Central Bank of Nigeria says it released $81.2 million for dollar requests on Monday in a continuing drive to improve liquidity. In an emailed statement, the bank said it provided $44 million to meet requests for expenses such as medical and school fees, and to cover travel allowances. In addition, $37.2 million was provided for small and medium-sized enterprises. The apex bank has been intervening aggressively in the foreign exchange market since February to try to narrow the spread between the official and black market rates. It has sold more than $4 billion. In theory, greater liquidity should lead rates to convergence. "The bank remains committed to ensuring that there is enough supply of forex to genuine customers to achieve the goal of forex rates convergence," spokesman Isaac Okorafor said in the statement. Earlier traders, citing a memo from the central bank, said CBN plans to offer $100 million in forwards at an auction on Monday but did not disclose the settlement period. They said the dollar auction would be both for spot and forward settlements which will be backed by customer demand. 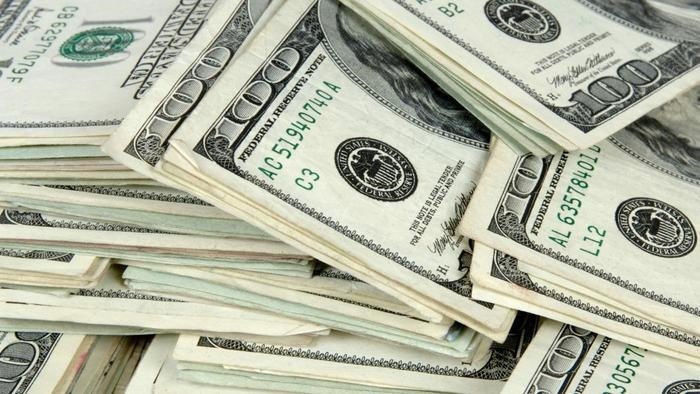 The naira traded at the official market rate at 305.20 on Monday and the black-market rate at 391 Naira to the dollar.